Nadiya is a seasoned workshop and retreat host in the USA and Internationally. Tuesday, November 13 • 6:30–9:30 p.m.
By praying and singing to water we heal our source and our selves, thus becoming community healers. In a circle of like-minded beings we shine the sunlight of our own prana on life scars to reveal a new story. 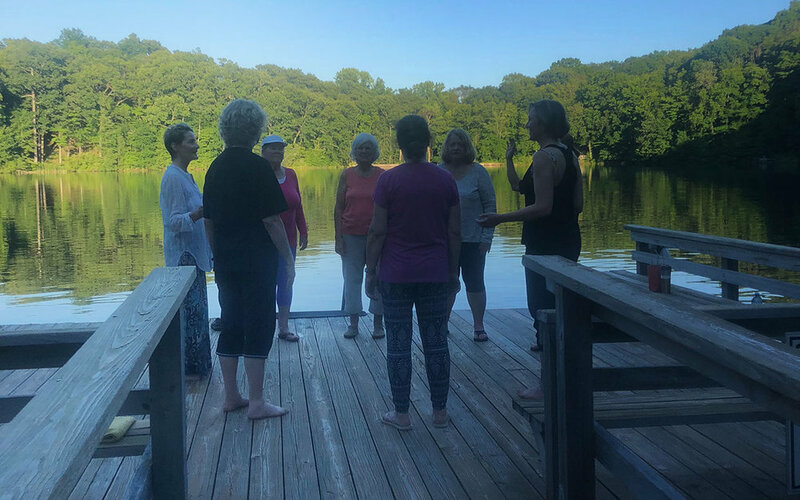 Through meditation, a forgiveness ritual circle, singing led by Jenny’s magical voice, chanting, and a shamanic journey led by Nadiya, we’ll take steps toward a new beginning, a fresh perspective on the woman within. Questions? E-mail Nadiya at Nadiya108@mac.com. Rubin Museum with Itzhak Beery reading and Shamanic Journey from the author’s book. Nadiya was one of the original teachers at the Internationally renowned center known as the The Breathing Project where she taught Yoga For Strong Bones for several years while studying with founder, Leslie Kaminoff.